If you are like me, the pace at which we live our lives can present a real challenge to parenting. You know, spinning plates makes for an entertaining carnival act, but as a way to live our lives, it’s far less than amusing! Still, this is an appropriate illustration for how so many parents live. We face many competing priorities as parents. We want our children to do well in school, develop meaningful relationships, experience meaningful activities and hobbies, and grow in their faith. And so we try diligently to keep the many areas of their lives spinning. We give most attention to the areas that seem most vulnerable, but in doing so, some key areas of their lives end up wobbling and are in danger of crashing. We may invest countless hours into our children’s education, their sporting activities, dance classes, and music lessons, but when it comes to the priority of passing along a legacy of faith to our kids, we too often allow circumstances and chance to affect how we manage our family life and especially that of our high calling as parents to pass a legacy of faith to our children. What we find in this passage is the Biblical model for transferring our faith to our children. The following three keys are valuable reminders, giving us motivation to focus more intentionally on the principles of passing along a legacy of faith to our kids. 1. Be an example of loyalty to God. The Shema reminds us that there is one God and He is holy. We are to love God with our entire being: with heart, soul, and strength. As parents, this goes to the heart of the matter: Do our kids observe our loyalty to God? We simply cannot pass on a faith that we do not have to our kids. We set the pace. We are our children’s role models for faith and loyalty to God. Remember, our own actions will often speak louder than our words! 2. Demonstrate your faith. The Shema instructs us to “impress them [the commandments] on your children.” Parents are to impress the faith that God has placed in their life into their kids. It’s all about transference. With all of the great children and youth programs within churches today, many parents allow churches to “take the wheel” when it comes to their kids’ spiritual development, while they take a more passive role. But guess what? According to the Shema, God specifically places the responsibility for nurturing a child’s spiritual development on parents – not the church! Pray regularly with your kids. Pray at dinner. Pray at bedtime. Prayer is a way to acknowledge God’s presence in your family and in your life. By praying regularly with your kids, you teach your kids that we rely upon God and need His presence in our lives. Worship as a family. For most of us, this means worshipping together at church on Sundays. Unfortunately, too often, churches have split up the family when it comes to worship time. Take the initiative to make sure there are regular times when your family experiences worship together. Teach your kids. 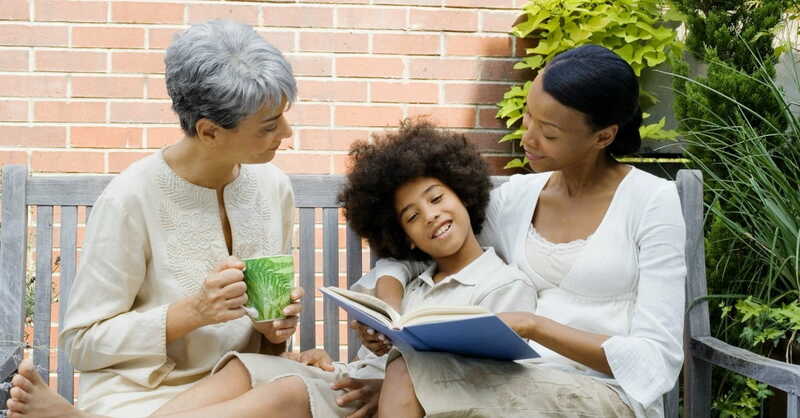 This can be as simple as having a daily or weekly family devotional or Bible-reading time. I don’t think it’s time to preach and lecture, but I think it’s time for us to do something that’s inspirational and spiritual. Use a devotional guide or make something up on your own. The key is to experiment and find something that works for your family. 3. Remind Your Kids of God’s Importance. The way we remind our kids of God’s importance is when we talk about it at home. There are many ways and opportunities to do this. The goal is that faith becomes a natural part of our kids’ lives instead of just saying, “Okay, faith is what we do on Sunday and Wednesday.” So, don’t isolate spiritual discussions from the daily ebb and flow of our lives. There’s nothing more important as a parent than leaving an enduring spiritual legacy for your kids! Making a commitment to help grow your family members into all that God wants them to be should be a top priority. Do all you can to keep this plate spinning! Jim Burns is President of HomeWord and Executive Director of the HomeWord Center for Youth and Family @ Azusa Pacific University. Jim speaks to thousands of people around the world each year. He has over 1.5 million resources in print in over 25 languages. His latest book is Pass It On: Building a Legacy of Faith for Your Children through Practical and Memorable Experiences written with Jeremy Lee. Jim and his wife, Cathy, live in Southern California. They are the parents of three adult daughters. Learn more at www.homeword.com.